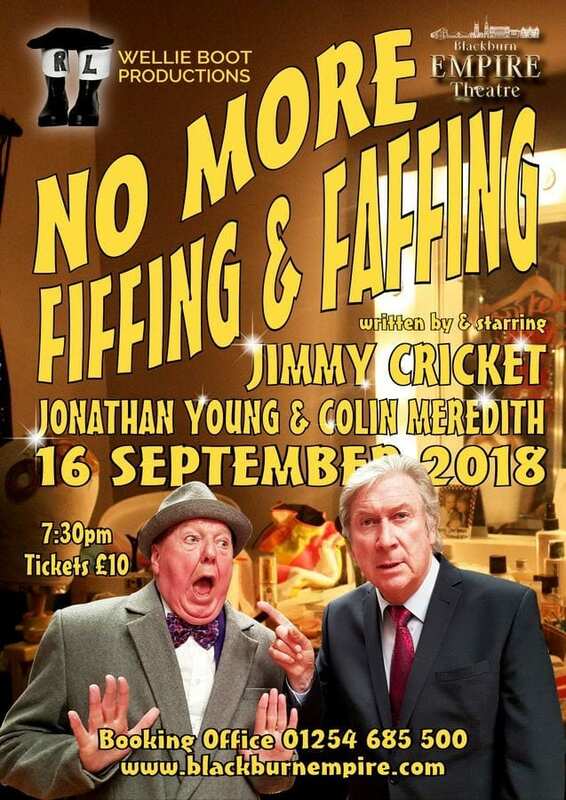 Jimmy Cricket is appearing in a special event at Thornleigh Salesian College in Bolton in aid of CAFOD – the Catholic Agency For Overseas Development. 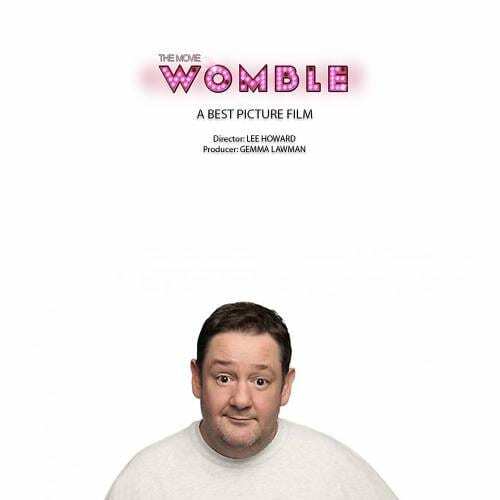 In what will be a unique evening of comedy entertainment, Jimmy will be joined on stage by special guest comedian Steve Royle, who regularly hosts a Saturday morning show on BBC Radio Lancashire and featured in Peter Kay’s Phoenix Nights live show. 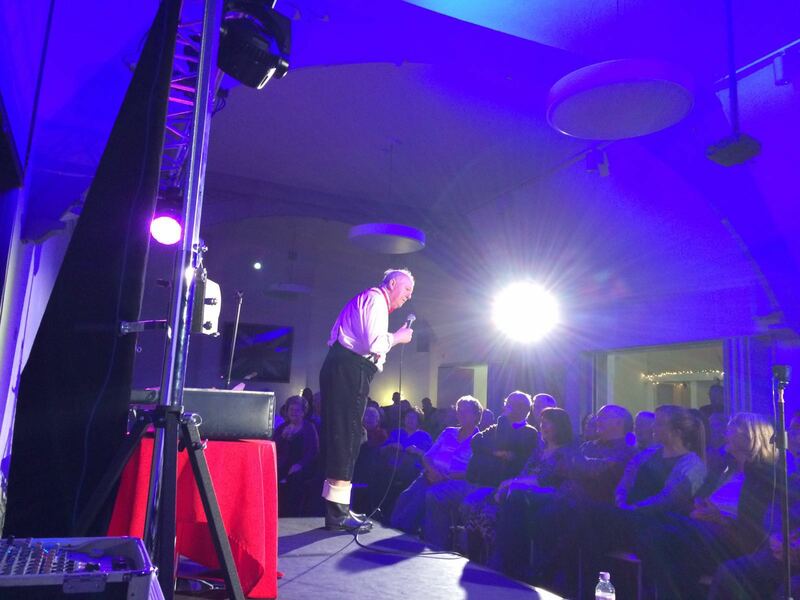 The evening will be hosted by comedian-turned-Catholic priest, Fr Frankie Mulgrew – Jimmy’s younger son – and there will be the odd surprise on show from pupils who attend the college. This event is in aid of CAFOD who stand beside people living in poverty – whatever their religion or culture. Through CAFOD’s local church partners around the world, they help people directly in their own communities and campaign for global justice. 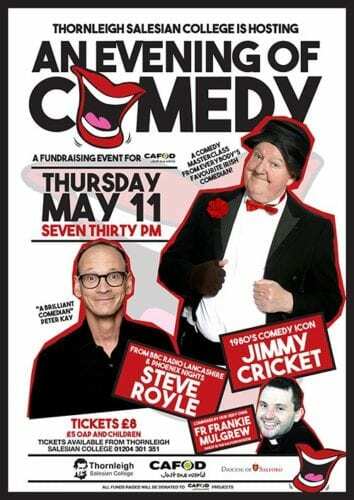 Tickets for this night of fun and frivolity on Thursday 11 May are priced at £8 and £5 and are available from the reception at Thornleigh College (01204) 301 351. 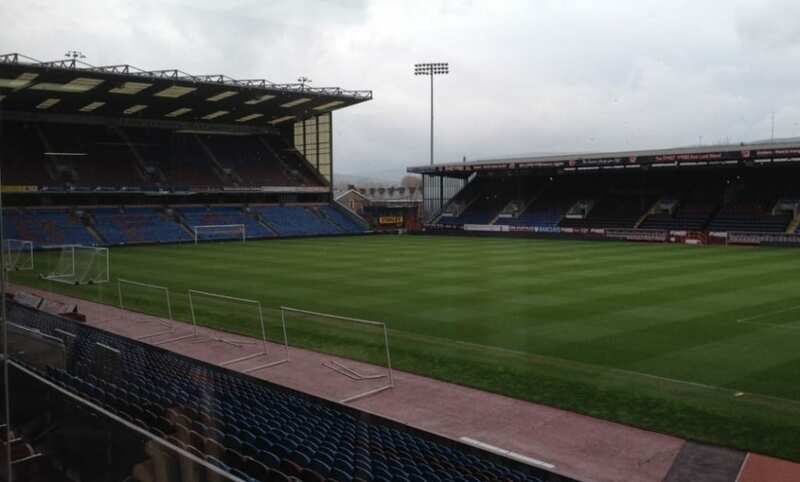 Jimmy Cricket has given his support to this year’s Children in Need, the BBC’s annual charity marathon. 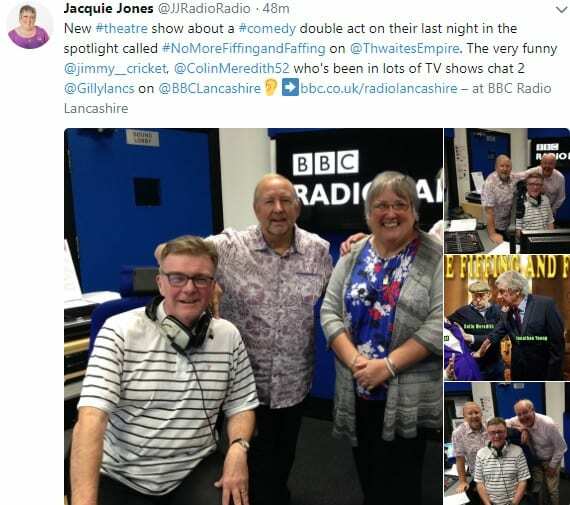 The much-loved comedian, 71, was invited to see BBC Radio Lancashire’s main fundraising activity for this year’s appeal during a visit to their Blackburn studios recently. 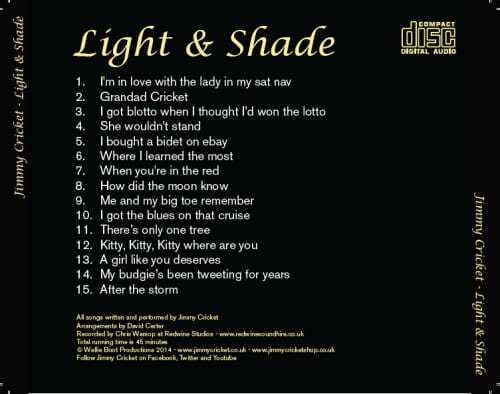 He was there to be interviewed as part of his tour across the BBC local radio network to promote his new charity Christmas CD. 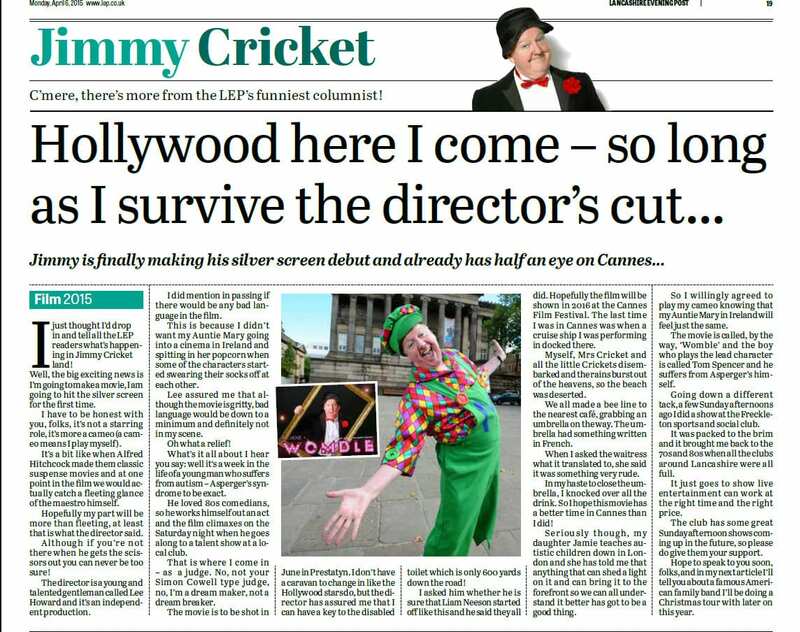 In between interviews Jimmy was invited to pop out to meet Graham Liver who is tasked with dragging a four-poster bed all the way from West Yorkshire to the Lancashire coastline. 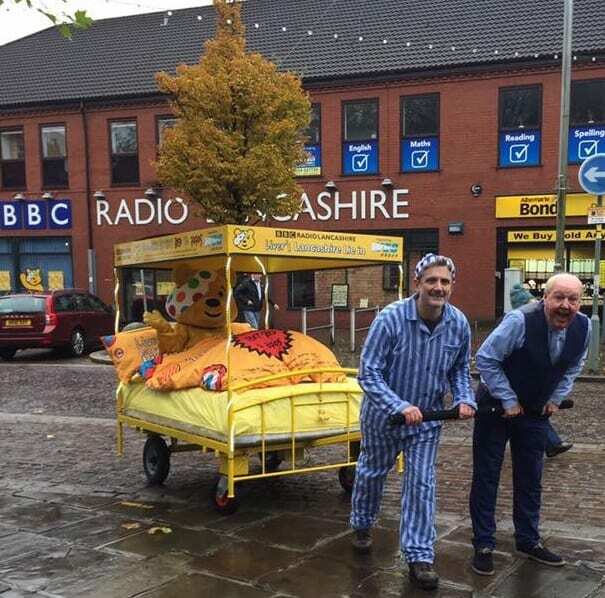 Graham, a television newsreader on BBC North West Tonight and Breakfast presenter on BBC Radio Lancashire, will set off from Pudsey – located midway between Leeds and Bradford in West Yorkshire – and walk more than 100 miles to Bare in Morecambe, Lancashire. Pudsey Bear is BBC Children in Need’s mascot. He will drag his specially designed bed along highways and country lanes, meeting listeners in many of the towns and villages covered by BBC Radio Lancashire. Graham set off on Saturday (12 November) and aims to complete the challenge in time to help out Pudsey Bear and friends on Children in Need appeal night, which is Friday 18 November. 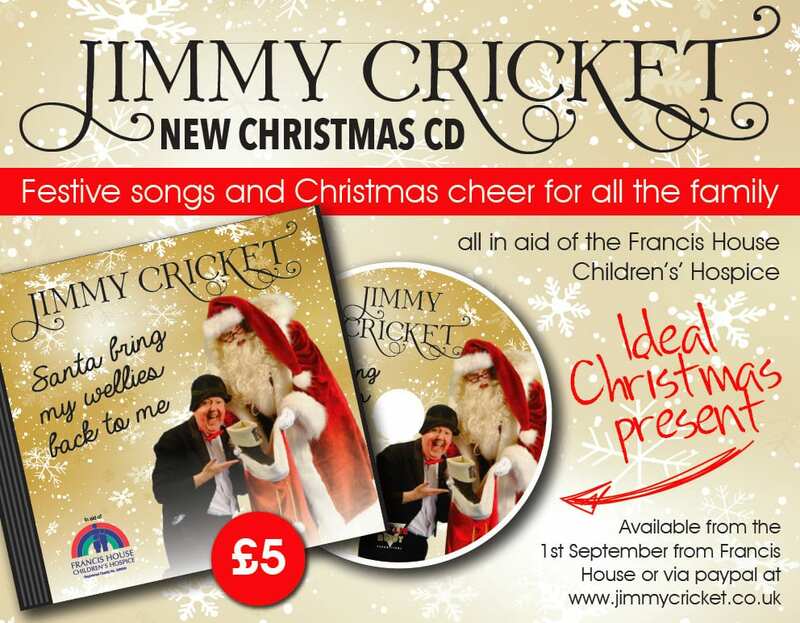 * Jimmy’s new charity Christmas CD, Santa bring my wellies back to me, is available to buy from this website through a PayPal facility or in person directly from the Francis House Children’s Hospice. 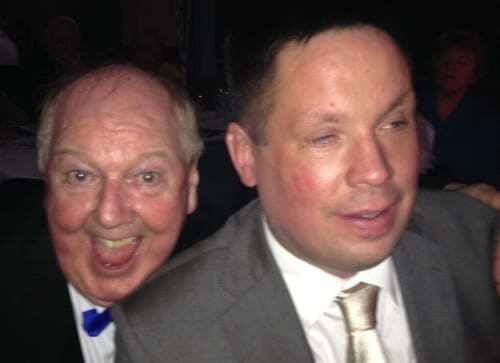 It was a real family affair when Jimmy Cricket recently appeared at a charity comedy night in Bury. 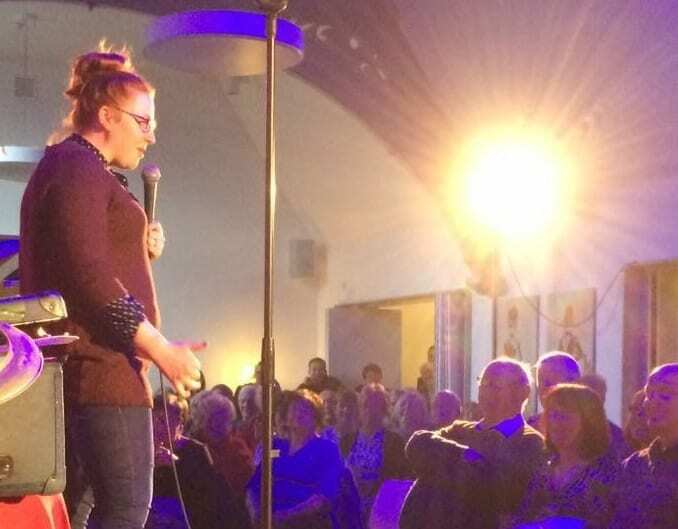 The much-loved entertainer, 70, shared the stage with son, Fr Frankie Mulgrew (below right), and daughter, Katie Mulgrew (bottom), for the first time in several years. The event was organised to raise funds to send poorly children on the annual pilgrimage to the famous shrine of Lourdes in southern France, run by the Salford Catholic diocese every July. 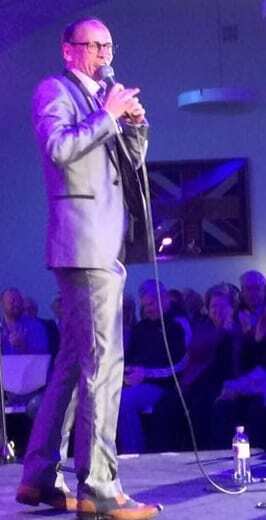 It took place at the Fusilier’s Museum in Bury town centre and was organised by local man Dom Hynman. Katie is a comedienne while Frankie trod the boards as a comic before becoming a Catholic priest several years ago. The night’s chuckle offer was further enhanced by entertainer Steve Royle (above left), a regular presenter on BBC Radio Lancashire. Many may also recognise Steve from his association with TV funnyman Peter Kay. 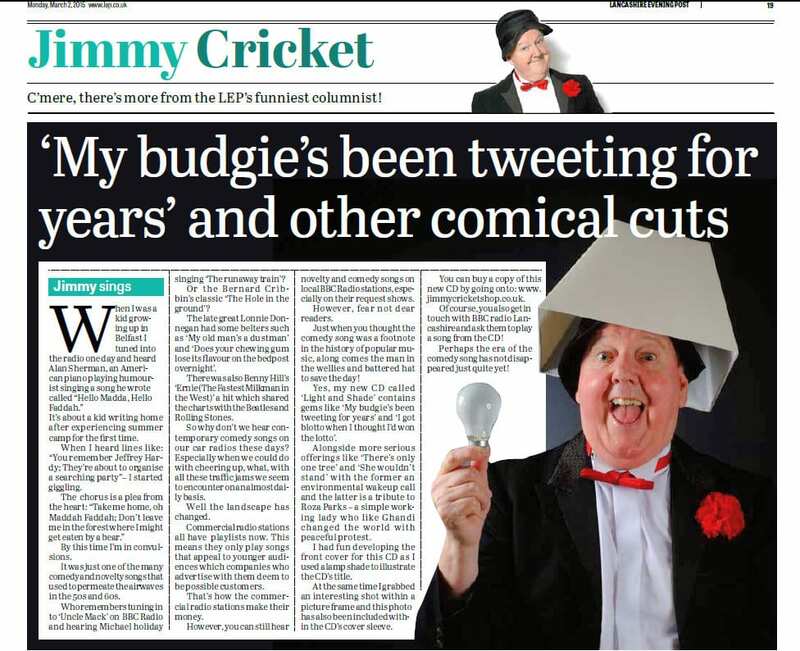 Veteran entertainer Jimmy Cricket is appearing in a charity show in Greater Manchester on Friday (29 April). 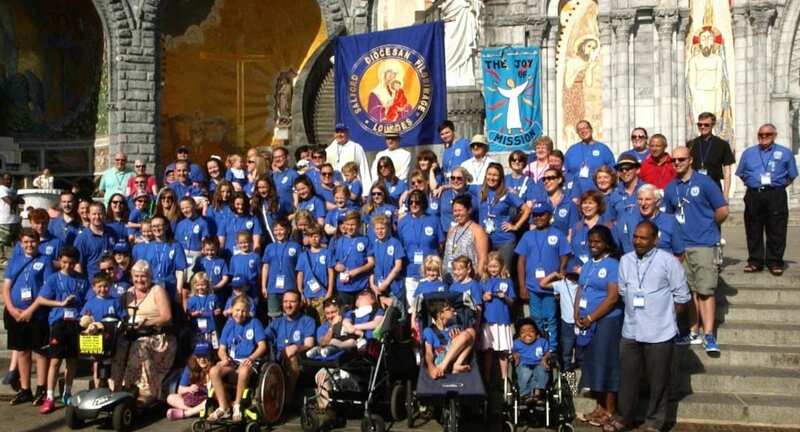 The comedy night in Bury is being staged to raise much-needed funds to send sick children on a pilgrimage with the Catholic Church to the famous shrine of Lourdes in the South of France (last year’s group are pictured above). Jimmy’s daughter, comedienne Katie Mulgrew, will host the show! 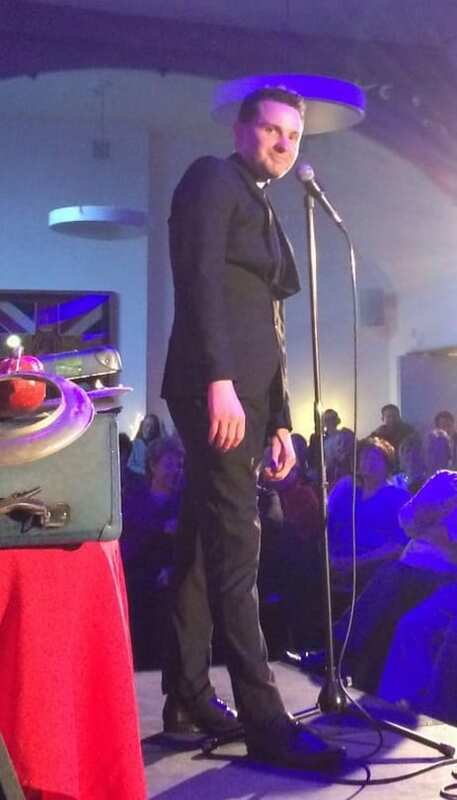 The line-up has a further family twist as Jimmy’s son, former comedian Frankie Doodle – who left the stage for the pulpit and who is now Fr Frankie Mulgrew – will also be performing. The list of entertainers is completed by special guest comedian Steve Royle from BBC Radio Lancashire’s Saturday morning show. Friday at the Fusiliers will be held in the function suite of the Fusiliers Museum in Bury town centre.